Ready to move into designing jewelry for autumn? I’m hosting a giveaway over on the Art Jewelry Elements blog that might help you get started. 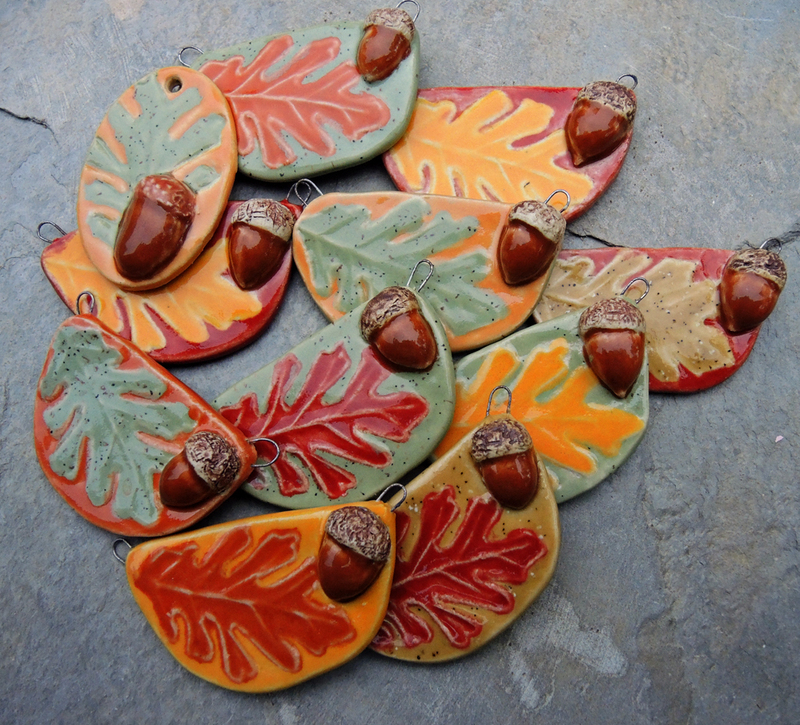 2 lucky people will each win one of my ceramic Oak Leaf & Acorn pendants. To find out to enter the giveaway, go to Art Jewelry Elements and read the directions carefully. Then throw your name in the hat and cross your fingers! This entry was posted in Bead And Jewelry Challenges and tagged acorns, Art Beads, Art Jewelry Elements, fall pendants, giveaway, handmade ceramic, Linda Landig Jewelry, oak leaves by Linda Landig. Bookmark the permalink. I am so pleased you like it! Can’t wait to see what you make with it!